Spin to win your gadget! 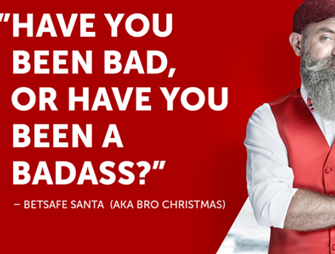 Enjoyed so far the daily surprises on the Betsafe Christmas Calendar? No worries if you missed some, the offers will keep coming until well into the new year. There will be a total of 50 days of unwrapping awesome gifts such as gadgets, Free Spins, Free Bets, Profit Boosts, Deposit Bonuses, Tournaments, Wager Races and more. There will be extra special gift days too as well as Poker free rolls and tickets. 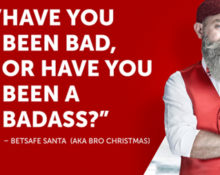 Check daily the calendar to find out what Santa aka Bro Christmas has prepared for you. 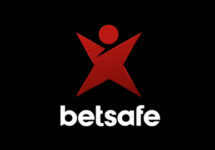 Not signed up yet at Betsafe? Do it now to enjoy their awesome €1,000 Welcome Package. Clicking on the current day will open the treasure chest to reveal the daily surprises. Make sure to return tomorrow to open the next day’s chest for more fabulous gifts.